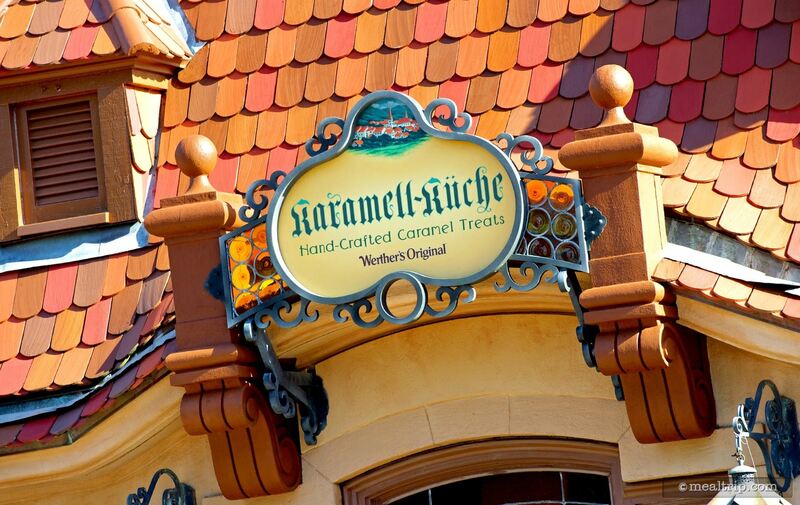 The Karamell Kuche listing is a Counter Service (quick service) dining location at Epcot featuring German and Confectionery cuisine. There are 2 photos in the Mealtrip photo gallery for this location and dining period. The Karamell Kuche listing currently has a score of out of 100. Click here to read all of the reviews for this location, or log in to Mealtrip.com to add your own review for Karamell Kuche. 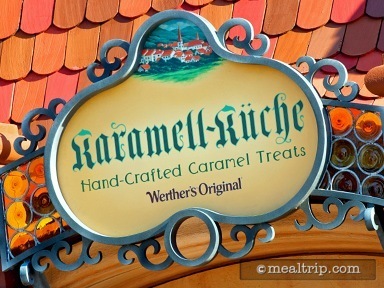 Karamell Kuchue Hand Crafted Caramel Treats sign, above the entrance facing World Showcase Lagoon. 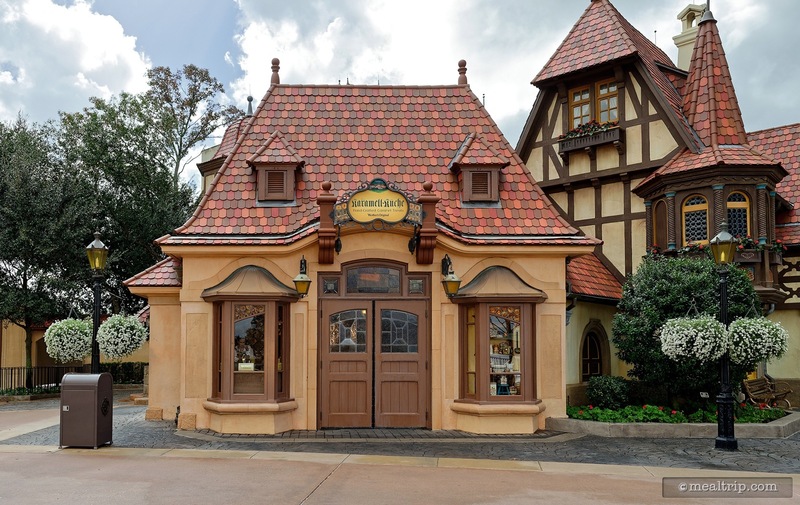 The cute Karamell Kuche building is located on the left side of the Germany Pavilion (with the WorldShowcase Lagoon to your back). The doors pictured here though, are seldom used. The main entrance is located in the building pictured on the right.